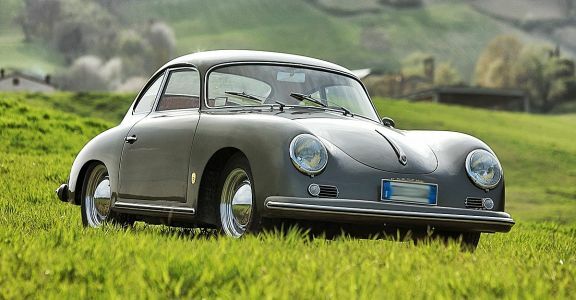 We are excited to offer on behalf of one of our clients in Italy this outstanding 1957 356A Coupe. This US delivery car was restored in Italy a few years ago and is in fantastic condition. This car is Mille Miglia eligible! Originally an aquamarine blue car it was finished in highly desirable graphite grey over tobacco interior. This little Coupe runs and drives fantastic and is technically in 1a condition with very little miles on the engine. Motor correct for the period but not matching as per Kardex. The original carbs and air cleaners are included in the sale.